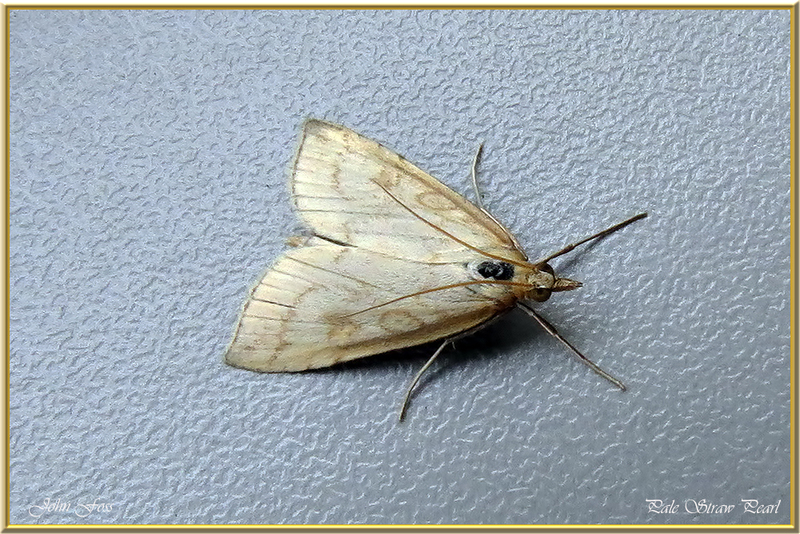 Pale Straw Pearl - is easily disturbed during the day and so is sometimes seen flying in daylight. 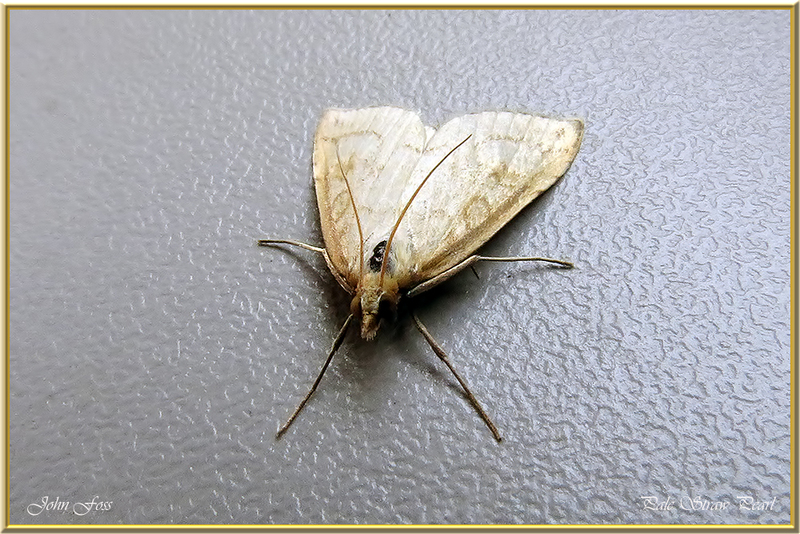 It is a small moth attracted to light and very active at dusk. It has a wingspan of 23-26 mm and flies from June to August. One of the main foodplants is bramble. Photographed in Co. Leitrim.